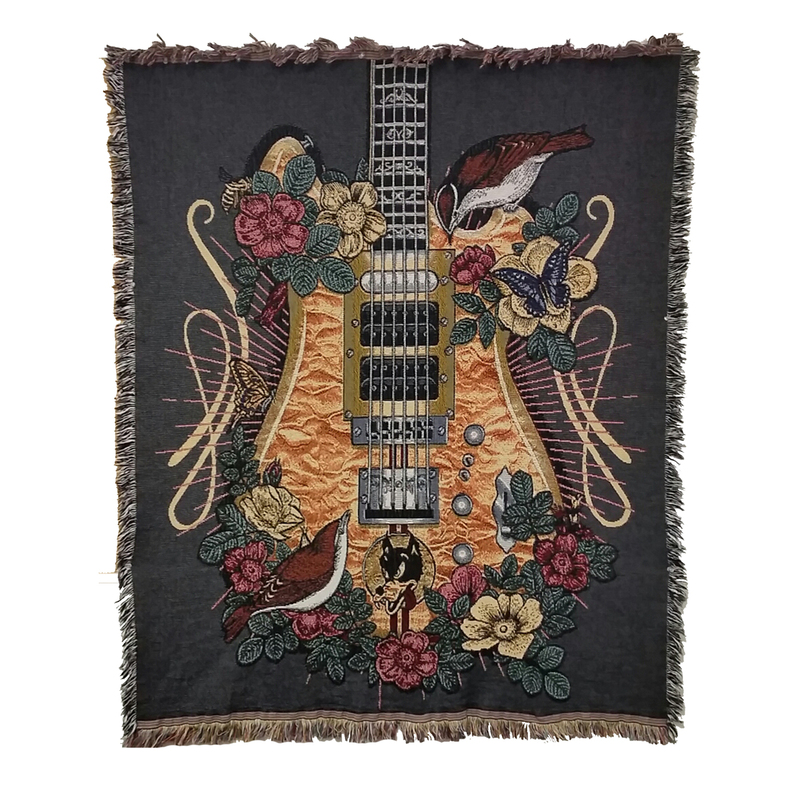 Heavyweight 100% cotton throw blanket featuring Jerry’s iconic guitar “Wolf”. Perfect to keep your feet warm while relaxing on the couch or for hanging on your wall. Measures 52" by 68" and made entirely in the USA. The Garcia Store outdid themselves with this blanket. It is a beautiful ornate design, very tasteful and true to the instrument it commemorates, as well as to its legendary original owner. The coloring is very rich and the quality of the fabric and the construction of the blanket are first rate. I bought three! Highly recommended for any fan of Jerry and The Wolf. Absolutely beautiful. Exceptional quality. Soft and substantial. Note: The background pictured looks brownish. It is actually denimish which looks great. Finally, accolades to the artist. A stunning work of art.